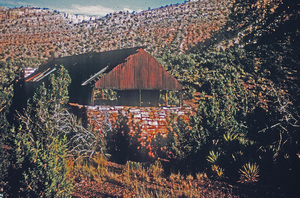 Grandviewite: Mineral information, data and localities. 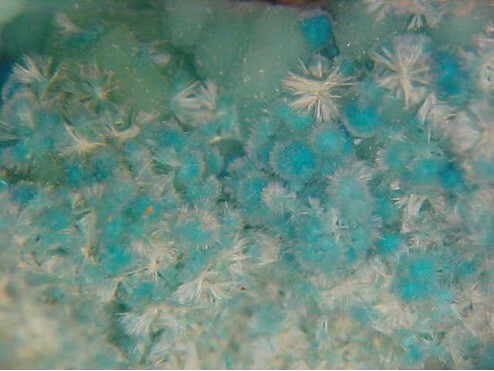 Type material shows greenish blue (rosasite-like) sprays of acicular crystals, grown on a chalcoalumite layer, which covers a mixture of cyanotrichite and visually indistinguishable carbonatecyanotrichite. Also grown directly on cyanotrichite. Space group P2, P21, Pm, P2/m or P21/m. Brochantite 28 photos of Grandviewite associated with Brochantite on mindat.org. Chalcoalumite 22 photos of Grandviewite associated with Chalcoalumite on mindat.org. Cyanotrichite 20 photos of Grandviewite associated with Cyanotrichite on mindat.org. Colchester, D. M., Klish, D. R., Leverett, P. & Williams, P. A. 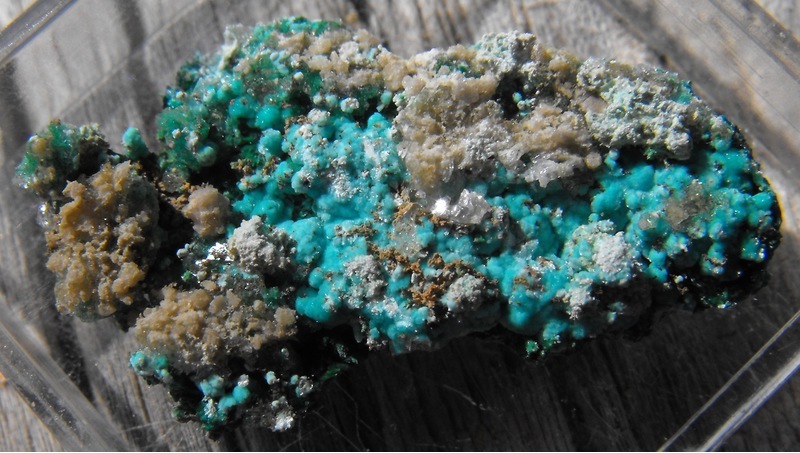 (2008): Grandviewite, Cu3Al9(SO4)2(OH)29, a new mineral from the Grandview Mine, Arizona, USA. 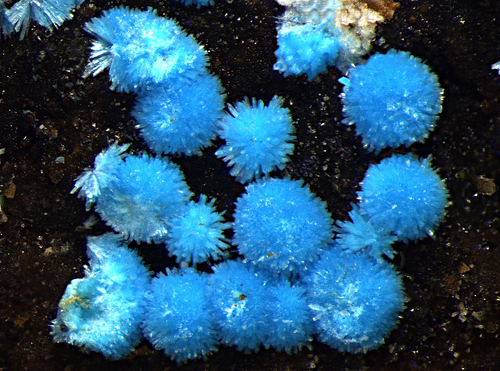 Australian Journal of Mineralogy, 14 (2), 51-54.